The bookstore contains some NEP featured books along with links to make ordering easy. 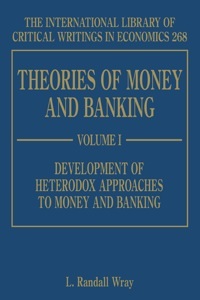 This authoritative two-volume collection brings together the most important contributions to theories of money and banking written over the past century. 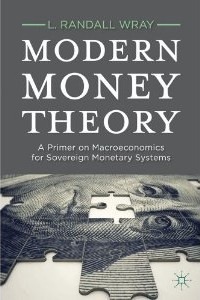 Professor Wray covers a number of key topics including the historical debates about the nature of money, the role money and financial institutions play in the economy and monetary policy formation. 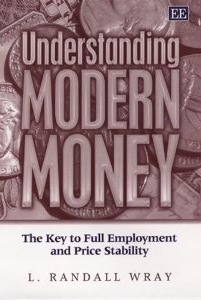 A wide variety of approaches to money and banking are featured, among which are Monetarist, Keynesian, Marxian, Post-Keynesian and Institutionalist, and the New Monetary Consensus. 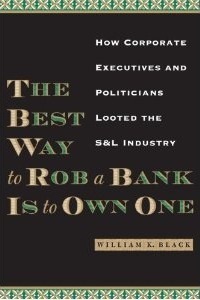 In this expert insider’s account of the savings and loan debacle of the 1980s, William Black lays bare the strategies that corrupt CEOs and CFOs–in collusion with those who have regulatory oversight of their industries–use to defraud companies for their personal gain. This version is available in the European Union from Amazon’s site in Italy. 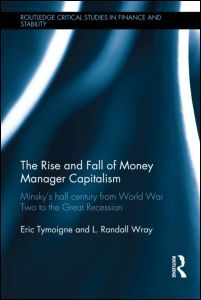 In this innovative and very practical book, Randall Wray argues that full employment and price stability are not the incompatible goals that current economic theory and policy assume. Indeed, he advances a policy that would generate true, full employment while simultaneously ensuring an even greater degree of price stability than has been achieved in the 1990s. 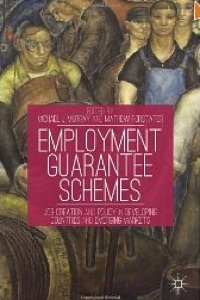 This timely collection tackles the issue of the government job guarantee (JG) approach to full employment, taking previous research one step further by providing an in-depth look at practical application for both developed and developing economies. While the ‘first generation’ of literature on the JG focuses on theory and methodology, this book aims to formalize job guarantee proposals and focus on the practical application of such proposals. Questions raised include: Can the effectiveness of the job guarantee approach be measured, if so how, and what are the conclusions? How do these conclusions reinforce the theory? What are the practical applications? What is the empirical evidence to reinforce the theoretical application? Most of the scholarship on the Job Guarantee up to now has been in the context of industrialized nations such as the United States and Australia. Employment Guarantee Schemes directs attention to challenges and opportunities of enacting direct job creation policies in developing countries and BRICS, including China, Ghana, Argentina, and India. 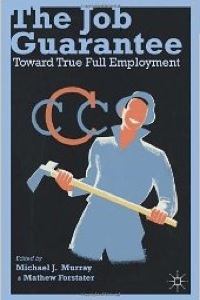 This book also investigates how the Job Guarantee might interface with other policy goals, such as environmental sustainability. Eschewing narrow individualistic and economistic approaches, these interdisciplinary, historical, and comparative studies delve deeper into how both unemployment and true full employment can affect community. 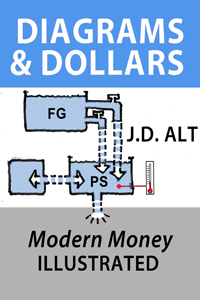 This short, easy to follow book explains the basic concepts underlying the debate about the possibilities and implications of Modern Money Theory. The explanations are illustrated with simple diagrams, making the concepts easy to “see”. The explanations are targeted to the “non-economist” with a serious interest in the current debate about fiscal policies and National Budgets. good morning to you I do not speak English but they are tremendously interested in your issues. as an Italian I think I have already said everything. your site is presented in Italian?? I am taking advantage of the translator and I hope I can do without it, or translate it from time to time. I hope so finally getting to learn English. There is another MMT meeting coming to Italy.